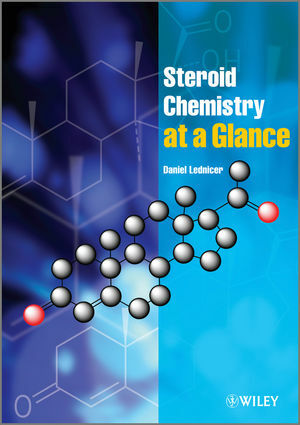 edited by Ira S. Lurie and John D. Wittwer, Jr. In the unbroken line of preceptors from Adi Sankara Bhagavatpada, downdards our beacon light in the Sanatana Vaideeka Marga, Sri Chandrasekharendra Saraswathi, the 68th Sankaracharya, shone as bright as Adi Shankara. 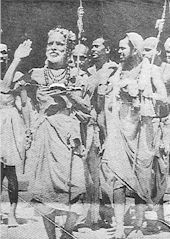 It was the good fortune of his devotees and of this century, that He was the exemplar for prompting peoples' knowledge, faith and interest in the Karma-Bhakti-Jnana marga. For the learned and the layman, He expounded words of wisdom. These run into over 4000 pages and are being published in various languages. Indonesia has been similar to India, in their way of talk, habits, worship and culture. This has been so for ages. 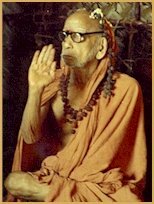 It is a true fact that Sri Mahaswami (Sage of Kanchi) had an affection towards the people of Indonesia. This book titled "Divine Nectar 50" has been translated into the Indonesian language by IBA NOOR AND STAFF "REALIA" Indonesian language school, Yogyakarta, Indonesia and published by P.R. Dandapani of P. T. Ispat Indo, Surabaya, Indonesia, while N. Rajan of UCO Bank Madras has been the co-ordinator . we bless the families of IBA NOOR, STAFF of "REALIA" , P.R. Dandapani, and N. Rajan and pray to MAHATRIPURASUNDARI SAMETA SRI CHANDRAMOULEESWARA that all Indonesians should read this book and benefit thereof. May those engaged in this noble task be the recipients of all bounties and we offer our blessings. The medicine of Grace to wipe out our sorrows is to develop unshakable faith in God and tolerance is the medicine of Grace to wipe out our sorrows. Bhakti alone can give us the capacity to put up with sorrows. Temples are the agencies for developing that Bhakti. Hence, the need for temples at all places. All offerings to the deities in the temples are tokens of our gratitude to God. That which is within all, which is seen as "This" is the source. He who is within and sees as "This" is God. It is the reality. It is in yourself. What is limited is Sadhana; what is unlimited is the end. 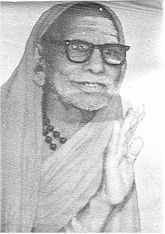 He alone is an Acharya, who, after clearly understanding the conclusive teachings of the Sastras, makes the people of the world gain their welfare by making them stick to the path shown in the Sastras and also himself does everything according to Sastras and remains in that experience. In all that you do, let love be the sole motive. Any need must be with reference to another. Let action be out of love. Passions such as desire and hatred , anger and malice must be totally eschewed. If love becomes the grounding principle of all deeds . then most of the ills of the world will vanish. We know many faults we commit, even if others do not know them. Sometimes we realise we are doing so many evil things and repent bitterly and feel why we should be born . Our duty is to pray to God -"I have committed so many faults. Will you not, 0 God, give me the will power not do like that in future and will you not purify my mind?" We must note down in a diary every night before we go to bed the faults committed by us and pray to God to give us courage and intelligence not to do so. This must be propagated widely. 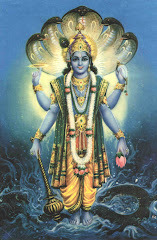 Parameswara and Sriman Narayana are one and the same in reality. They are not two. 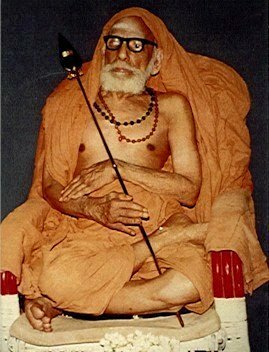 This is the conclusive view of all the sastras. Names differ, forms are different, occupations vary, but the reality which is within Them is one and the same. What is the purpose of human birth? To earn, to eat, to undergo misery everyday and finally to die? Instead of earning and suffering, can we not die now? The purpose of birth is to avoid re-birth. Except man, all animals grow horizontally. Only man grows vertically. Instead of growing horizontally, it is God's will that he should grow vertically in order to look up. 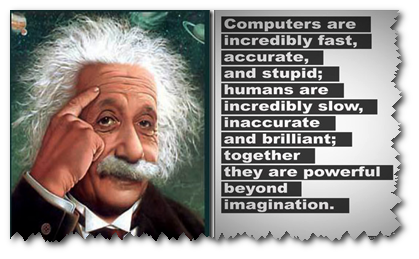 God has given to animals devices for self-protection; to man alone He has given intelligence. By doing nothing, we avoid re-birth; By giving up attachment, we avoid sins. When any object is consumed by fire, it becomes charred. If that black residue is burnt again, it becomes white ash. White ash continues to remain white even when burnt again. This shows that white is the ultimate and black is proximate to it. Science tells us that diamond and coal are basically one. White and black are not colours. The primary colours get separated from the objects to which they are attached when subjected to the test of fire and ultimately white. Similarly, in the mental and spiritual place, the Ultimate Reality is Siva, who is white and proximate to Him is Parvati, who is dark. When we test everything in the fire of Jnana, or true knowledge, the residue is Siva. 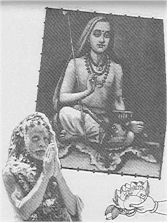 Ash in the material plane corresponds to Siva in the spiritual plane. We smear our bodies with the sacred ash to remind ourselves of Siva and the fact that the ultimate goal of life is Siva. Much is said about the personal God and the impersonal absolute God with attributes and without attributes. It is only when all the colours in the light mix together that we get the colourless rays of the sun. Similarly by the very virtue of being the abode of attributes, God becomes Nirguna, attribute-less. By education we realise Truth. There are many truths, History is one truth. Geography is one truth, Mathematics is one truth. The content of truth is the greatest in Mathematics. In others, there is an element of imagination. In Geography, we come across names Asia, Africa, Madras, Calcutta, etc. These names were given by us. By imagination, we have given names "plateau" "valley", etc. By a process of gradual elimination of all that is imaginary, when we arrive at truth, that Truth is found to be God. To think of Him with real devotion is the fruit of education. What is the use of education? Its first use is to develop humility (vinaya). In olden days, the disciple who went to a guru was called "vineyan" meaning a person of humility which is the hall-mark of Instruction he had from his guru, the fruit of education. Education without humility is no education. Education is the same today as it was before, but methods have changed. The medicine is the same but if the diet is changed, the medicine becomes poison. Education has today become merely the means of livelihood. 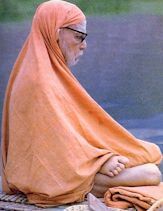 For true education, the student should go to a guru and follow the guru-kula system. Right education should make us know that God is the Truth. Knowledge must fill one with good qualities, through which one can realise the Truth, that is God. Therefore, the goal of knowledge is the understanding of the Ultimate Truth. The first fruit of education must be humility and self control. The total surrender to the Lord is a means of learning our insignificance and the transcendent grace of the Lord. If we engage an inquiry into the Atman, at the end of it, it will be clear that God is in us as our very self. When that stage is reached, we have no use for the devas. Then all karmas will fall away from us. But, until then, we must obligatorily do the karmas directing them to the Gods. Those who are the leaders of a group, society, or state should not neglect the established religious customs and usages. For themselves the may mot be in need of Church ceremonies, for instance, their advance in spirituality may not require them. But if they begin to neglect them, the people for whom the rituals are really helpful, will also start neglecting them. This would be setting a bad example. In the words of the Bhagavad Gita, the wise one should not unsettle the minds of those who are ignorant, and are attached to action: on the contrary, he should encourage them to perform what they should perform, by himself doing the appropriate actions well and with diligence. It is duty cast upon the leaders and those that are at the top to lead the people from where they are, and not to refrain from participation in the traditional ways of worship. Of all scriptures, the Gita has acquired a specialty of its own. Like this, there are many other books of wisdom. In the Mahabharata, there are many chapters teaching wisdom. Besides, in the Sivapurana, Vishnupurana, Skandham, etc., there is Jnanopadesa. So also in agamas. But what is the special importance of Gita due to? Not only in our country but in countries like Java, people follow the Gita. My inference is that because it was born in an atmosphere utterly free from attachment - attachment to life, attachment to body, attachment to kith and kin, but out of attachment only to Reality, it has become so famous. On deep consideration, ahimsa appears to be good as an ideal or for preaching. But practically speaking, it is difficult to follow fully. First of all, we must love others. But if we love anyone too much, the end is sorrow. Therefore we should love God who always gives happiness and not sorrow. I ask myself if we love God, should we not love anyone else in this world? So long as there is false knowledge which distinguishes God from the rest of the world, there will be differences. If we attain Jnana that God is all, we will develop the same love for all that we have for God; This is the sign of Ahimsa. For the sake of food, clothing and shelter, everyone is toiling and sorrow-stricken. If sorrow is to be banished and if we are to be ever happy, we must dedicate all our actions to God. If we get His grace, then we need not do anything and can be happy. God is a good master. By praising Him always, we cannot please Him. He is indifferent to our praise or dispraise, action or inaction. But all our actions are ordained by Him and are meant only to purify our minds. Why so many Gods? Is it not enough to have only one? Other religions speak of one God only and not many. We are assailed by such doubts. We eat to satisfy hunger, the stomach becomes full, there is no trouble or hunger. Then why can't we take cooked rice alone? Why should we eat so many side dishes? So, if we eat, it is just not to fill the stomach, but we want food tasty to the palate and pleasing to the eyes. Whoever is attracted to a particular God he worships that. By multiplying wants, we only increase poverty. What is essential for life and honour should be made available to all the people of the country. It is for this we want plans. Men of means should live like the poor and should not increase their wants beyond necessities. The rich should share their prosperity with the poor. This is punya, leading to salvation. The more we increase our wants, to that extent, there will be no peace or comfort and it will only produce poverty and sorrow. 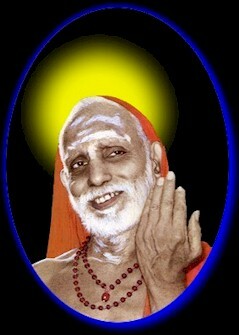 Vedanta which is the peak of the Vedas teaches the way for the removal of sorrow. Hatred and desire arise only in respect of the objects other than us. That desire will not arise if those objects are rendered identical with us, if there is nothing other than us, then desire will not arise. If there is no desire, there will be no effort and no sin. When there is no sin, there will be no body and there will be no misery. We may get many types of sorrow. What seems to be sorrow to all the people of a place may not seem sorrowful to us. If we stay always happy, without wanting to attain anything untouched by sorrow like the lotus-leaf and the Kalakodi - seed, that is called yoga. "Know that to be indicated as yoga which is separation from being united with sorrow, The removal of association with sorrow." In order to reach one purport, why should the Veda speak of many matters? This question may arise in our minds. It is through many matters that it is possible to understand that one purport which is Reality - yoga, meditation, austerity, sacrifice, performance of karma; when these are accomplished, what they indicate is that one Reality. It is that Reality which is the true purport of the Veda. Other things are of a changing nature. They become woven into a story and then even that story disappears. What for is the science of medicine? It is for keeping the body strong and healthy. What if the body is not strong and healthy? The body will be subject to diseases. What if there is disease? One will not be able to function properly. He who has given this body is the supreme Self. This is the truth, we should practice several disciplines. We can practice them only if the body is well. In order to keep it well, we must prevent it from becoming a prey to disease. The science of medicine tells us how to prevent diseases. Thus, Ayurveda helps in the realisation of Advaita experience. Savikapla Samadhi: The mind is steady without any distraction, contemplating its object wholly absorbed therein. Nirvikalpa Samadhi: This is the goal of yoga. In this, the mind ceases to function and vanishes once and for all, leaving the self to shine forth alone. In Advaita too, the path of meditation is recognised; but here the object of meditation is the distinction-less Brahman. Sahaja Samadhi: This is realised through the path of enquiry. It is the natural state of Self - realisation and one of utter unconcern for the fleeting phenomena. There is nothing to feel elated about seeing the people worshipping me. But when I reflect that is worship to the God, who they think are approachable through me, I feel glad that there are so many who believe in a compassionate God who will hear them and remove their misery. Our religion Hinduism has grown by devotion, meditation and self - purification. The other religions might have grown by propaganda and conflict. 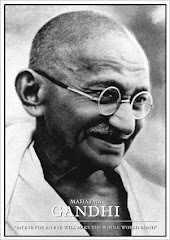 The reason for crores of our people remaining within the fold of Hinduism, in spite of powerful propaganda of other religionists, wars, lure of money, etc., is we see a great man (Mahatma) in our midst by whom we are impressed. We develop devotion to him and generate faith in our religion. There is a text in the Veda which says that a flowering tree attracts bees automatically. If we examine ourselves and we find one of use to be perfect, the world will follow him. A child eats earth. Its hands are tied by the mother. The child gets angry and cries. Is it without reason the mother ties it's hands? We do not know the mercy of Universal Mother. The good or harm coming to us has its source in Her Grace; Suffering - Her Grace for some reason. We must accept whatever comes to us, good or bad, as Her Grace. We do not know why she gives it. Our vision is limited. We do not know what precedes it or follows it. If we are able to look into the past present and future, we will know that God does no harm to us. Other than God, there is no kith or kin for us. We cannot say that a child or an idiot who keeps quiet without activity like a stone is great. We cannot presume that he has attained jivanmukti. This is the result of sin. He is a Yogi or Jnani whose intellect is very subtle and as sharp as a sword. He has to become like a withered tree, an immovable object with a steady mind. He must understand all that is happening around him. His knowledge should be perfect. He should not be affected by passion or sorrow. He should always be happy. None of us is like that and Iswara is described as Sat-Chit-Ananda. If God is the ocean of mercy and if He knows everything, He must know what we want. Why should we appeal to Him to do this or that? The reasonable answer is that instead of begging useless people at useless places, we plead before the Highest and the Omniscient. Otherwise, we have no justification to ask Him to give us this or that. Everything disintegrates on earth and this earth also will vanish one day. The sun will disappear and the whole universe will go. Then there must be some powerful substratum responsible for creation, protection and destruction. We call it God. We have the faculty of thinking and capacity of doing, in smaller or greater measure. This also merges after our death with the omnipotent. Being, from whom we derive this energy. The stable principle which is the cause of creation and destruction of all energy is God, called by any name. Mother loves her child but later on, an unfaithful son causes her sorrow. We know of cases where mother starts litigation against sons or sons against mother. If one loves another, and if one of them dies, the bereavement causes sorrow. The bank helps people who have deposited money with them. It is supposed to remove the sorrows of the people in times of need. But when the bank itself is liquidated or closed, the depositors weep. Their sorrows once gave sustenance to the bank. The more we love, the greater the sorrow in consequence. Then, shall we decide that we should not love anyone at all? The object of this birth is to bestow undivided love on someone. The subject of our love should not be quarrelsome or separable. If we say that we should love only the imperishable God, then the question is: can we hate others? Let us learn to love all by realising that God is in all. God is eternal and our love for him should be eternal. I am prone to come to the conclusion that there lives none without predominantly selfish motives. But with years rolling on, an impression, that too a superficial one, true to my nature, is dawning upon me that there breathe on this globe some souls firmly rooted in morals and ethics who live exclusively for others, voluntarily forsaking not only their material gains and comforts but also their own sadhana towards their spiritual improvements. It is clear to us that there is birth and there is death. Passion is the cause of birth. Time is the cause of death. What is created by passion is destroyed by time. If passion comes, the seed sprouts. If time comes, the tree dies. Kaalo Jagat Bhakshaka: Even the sun and the moon disintegrate when time comes. If there is no passion, there is no production. If there is no time then there is no destruction. Therefore we have to conquer Kaala and Kaama. Iswara burnt Kaama and kicked time. So if we go to Him, there is neither birth nor death for us. Let us therefore pay to the Universal Father and Mother. 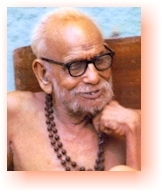 "Jagatha pitarau Vande Paarvati Parameswarau"
A master has two servants. One always flatters the master, the other just performs his duties without any love for the master. If the master is a fool, he would love the flattering servant. If the master is too clever, he will not love either the man working for wages or the flatterer. The master will love more the one who does his job as his own out of devotion. So is the case with the Good Master, God. Why do we break coconut before Lord Ganesa's idol? He is the Son of Parameswara and asked His Father to sacrifice His head with three eyes because only then, he thought any effort would be crowned with success and without any obstacle. So, instead of the head with three eyes, we are breaking coconut which has three eyes. Ganesa is so powerful as to demand the head of his own father. Whatever is superior to everything else must be sacrificed to God. Symbolically, we are sacrificing the three - eyed coconuts created by God, as ordained by Him. When a sannyasin attains Siddhi, this is done. This practice is in vogue only in Tamil Nadu. Thinking that God is far away from you, you are wandering in search of Him. So long as you do not know, He is far away. Though you may wander, you cannot see Him, but he is near you. He is distant, yet near. The story of a girl wanting to marry the highest among men, a king, ended, after all the travels, in the discovery of an ordinary man her parents had already selected. The bridegroom was so near. She took a long route to arrive at a point so near. We see our reflections in a mirror. In a row of mirrors, thousands of reflections are seen. It is only one person who sees all these reflections. The one who resides within us and who sees all this, is God. The seer is the cause of all the seen. That cause is knowledge which is the basis of this world. Where is that knowledge? Within you, what is macroscopic is microscopic in you. Joy comes in the form of status, money, etc. comes from without. We feel isolated. But it is the smallest fragment of the great joy from within, which is Ananda. Paramatman, the ananda within is not worried whether any joy comes from outside and mixes with it or not. Waters enter into the sea, which though ever being full, is ever motionless. If we analyse the teachings of the Gita, there may appear to be many contradictory matters regarding bhakti, karma and jnana. But the Lord takes the devotee step by step. We must meditate on the form of God as described in the scriptures. This bhakti will enable us to understand the universal nature of God. Spiritual vision will then make it clear that God without form is the Supreme Reality, which hears without ears, moves without legs. To worship God at the initial stage, metaphysical knowledge is not necessary. The more and more we meditate, bhakti grows and we automatically realise the universal form. There is no distinction between the devotee and the object of devotion. Our minds should automatically seek and cling to God just as iron filings are attracted by the magnet; the heart of the chaste wife seeks her husband; the creeper embraces the tree; the rivers go to the sea. Philosophical truths and ordinary people have nothing much in common. Therefore outward garb is useless. The representatives of religion must have real worth, peace - loving nature (shantam), austerity (tapas) and unselfish nature. Hinduism, in spite of its vicissitudes, is surviving even to this day. This is due to the blessings of a succession of saints. If there is one saint among us, the world will prosper. It is natural that man should seek to satisfy his wants like hunger, thirst, and a place to rest. There are duties which an individual has towards himself, the social group and the nation. Ordinarily, the performance of these duties remains on the level of satisfying the creaturely wants. But there is a way of performing these duties which will elevate everyone concerned spiritually. That is dharma. And it is the duty of the king or the state to see that the citizens are provided every opportunity for spiritual growth and progress. That is the meaning of saying: "Raja Dharmasya Kaaranam". Upaasana is dhyaana or concentration of meditation. A form is required for concentration. Reality is always the same and changeless. God, as the Ultimate Reality, is Formless. But Upasana of a Form is done with a purpose, namely, the attainment of a given benefit. The purpose to be attained by worshipping or concentrating on a Form differs. The scriptures tell you how to meditate and on what all Forms and with what results. For Upasana, you have to follow the Sastras or Scriptures. The different upasanas are all aids in the path to the ultimate goal, namely, understanding Reality. Scriptures prescribe Upaasana in order to train the mind to concentrate. Upasana is the affair of the individual; there is nothing collective about it. Neither the raw fruit nor the tree wants to leave each other. But when the fruit becomes ripe, this attachment automatically disappears. Man requires to experience anger, jealousy, passion, etc. just as the fruit had to undergo various stages of growth and taste before it became fully ripe so to get automatically detached from the tree. We cannot overcome these experiences in the beginning. But we must ponder over the fact why we undergo these experiences. Otherwise we will be the losers. We will become slaves of these experiences and can never achieve fulfillment or contentment. When adversities overtake us, we blame God and complain that He is blind to our misfortunes. But if we indulge in a little introspection, we will realise that our faults are so enormous that we are utterly unworthy of His grace and, in spite of that we are able to get food, shelter and clothing. It is due to the abundant mercy of God. We must consider the difficulties we encounter as a blessing in disguise. A mother may tie the hands of her child who has the propensity to pick up and eat mud. This seeming cruelty of the mother is for the good of the child. Similarly troubles are verily God's grace to save us. In the entire picture of life, troubles form but a tiny spot. In our inability to visualise the past and the future, we complain when we suffer in the present. A proper perspective will enable us to understand our present plight in its proper setting. Whenever any honour is done to a person the recipient must remember the divine source from which he derived the qualifications to receive that honour, and feel humble and not elated with a feeling of self - importance. People of the World ! May all people attain greater well - being.